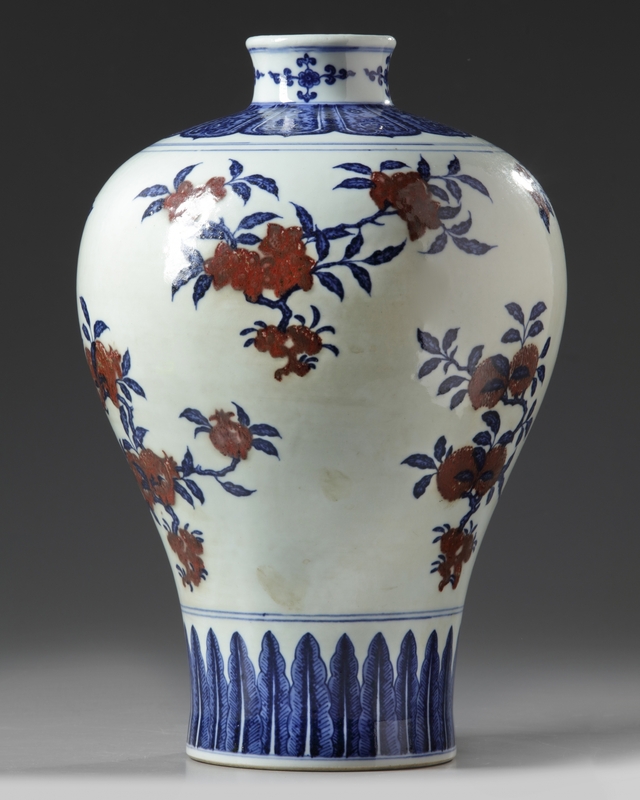 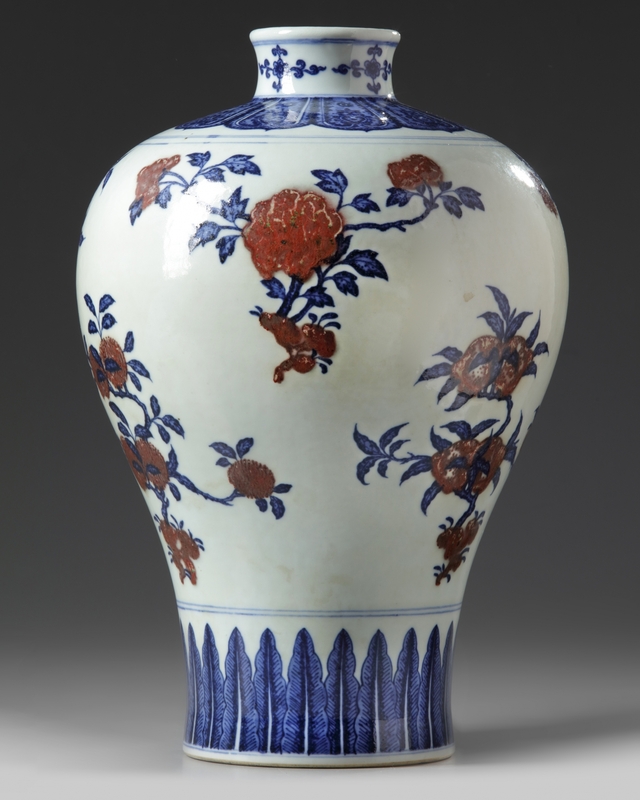 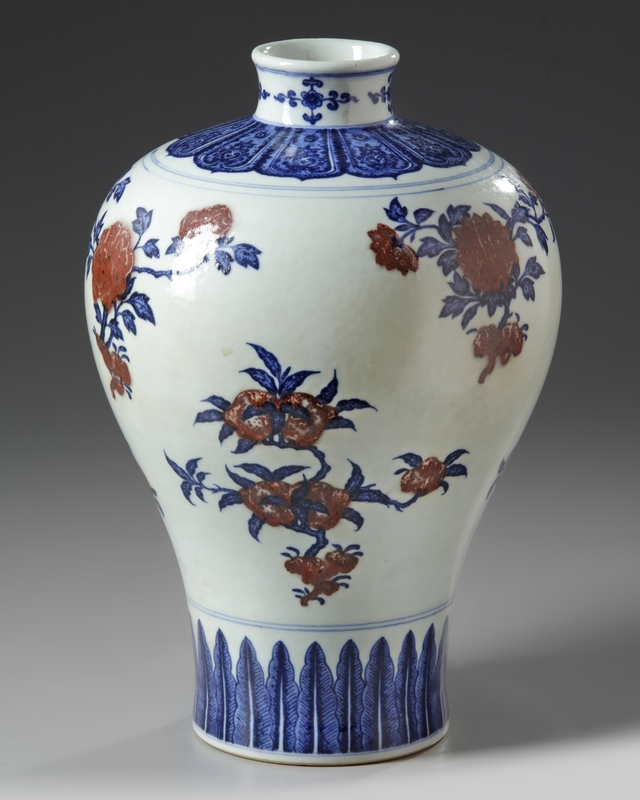 The vase is decorated to the body with various sprays of pomegranate, prunus, peach, rose, and lychee. 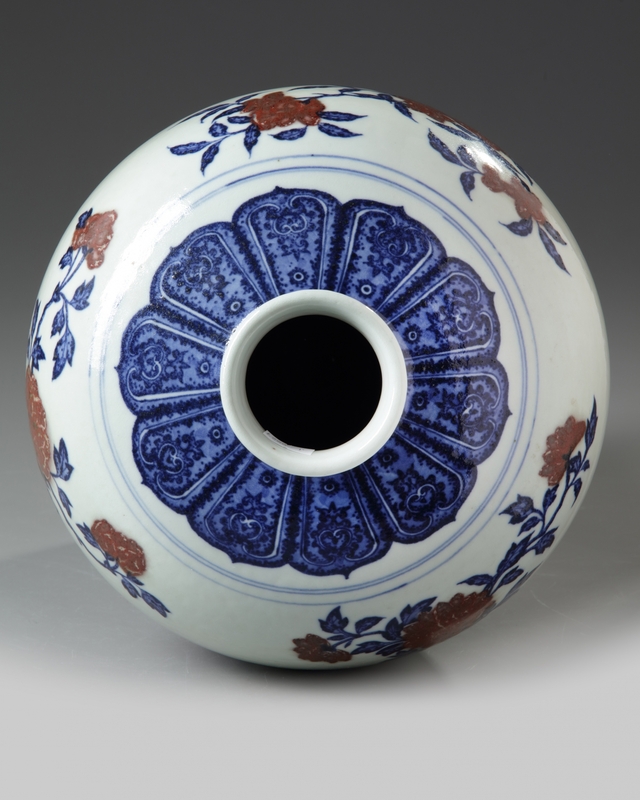 The foot is encircled by a stiff leaf band and the rim is encircled by a lappet band below flower sprays. 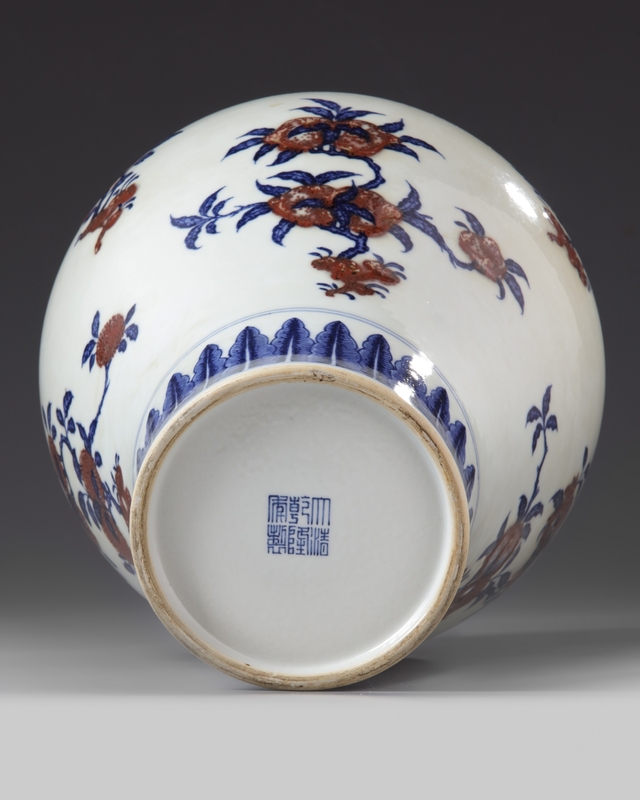 The base with an apocryphal Qianlong mark.